I was looking at propane fire pits, but they were all huge! I have a 4runner and with kids and dogs its packed to the gills already. I wanted one with a lid to keep the lava rock in. Then I had a brain wave one night while thinking about it. 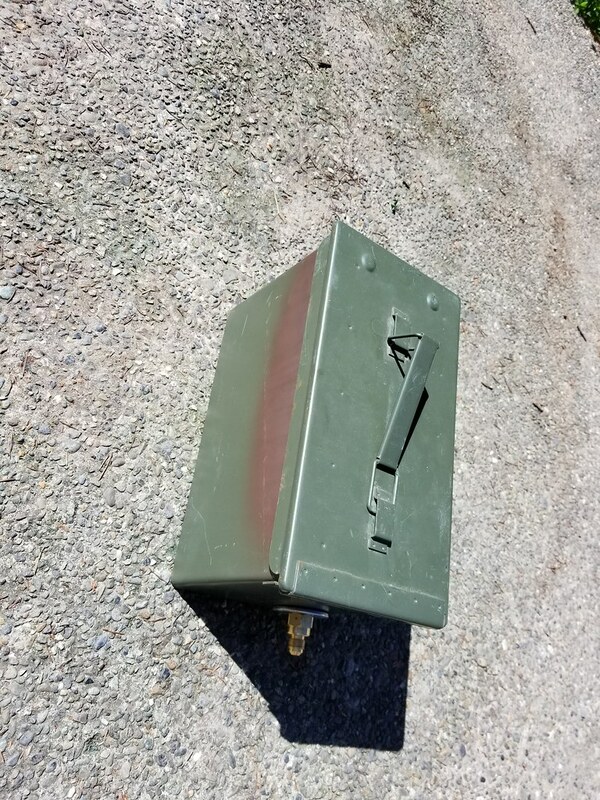 A 50cal ammo can! I had made a wood stove before so I figured it would hold up to the heat well. 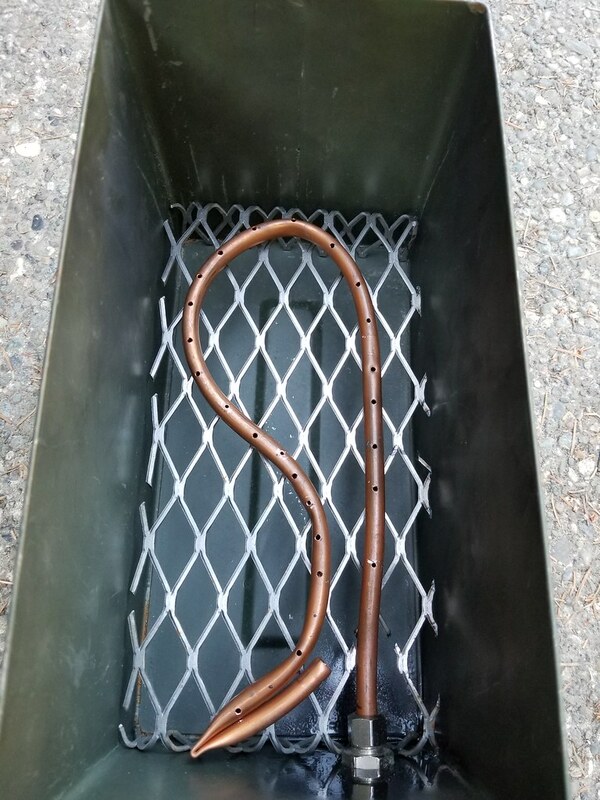 First up is to make the burner, I used 3/8" soft copper tubing, just kinda bent into a shape to fit inside a 50 cal ammo can. 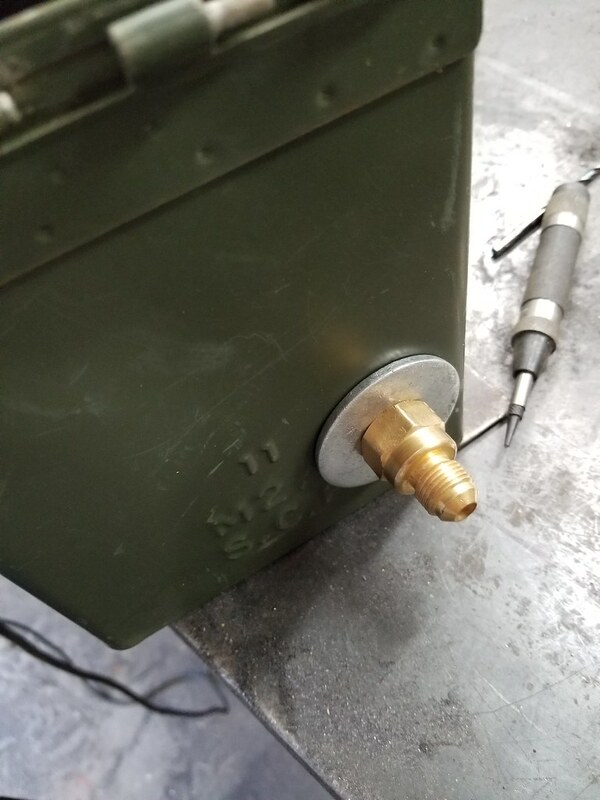 Drill a hole for the propane to burner connection where it makes for your burner shape. I used a large washer to reinforce the area around the hole. The connection is made with a 3/8 flare by 1/2" female NPT adapter on the outside. 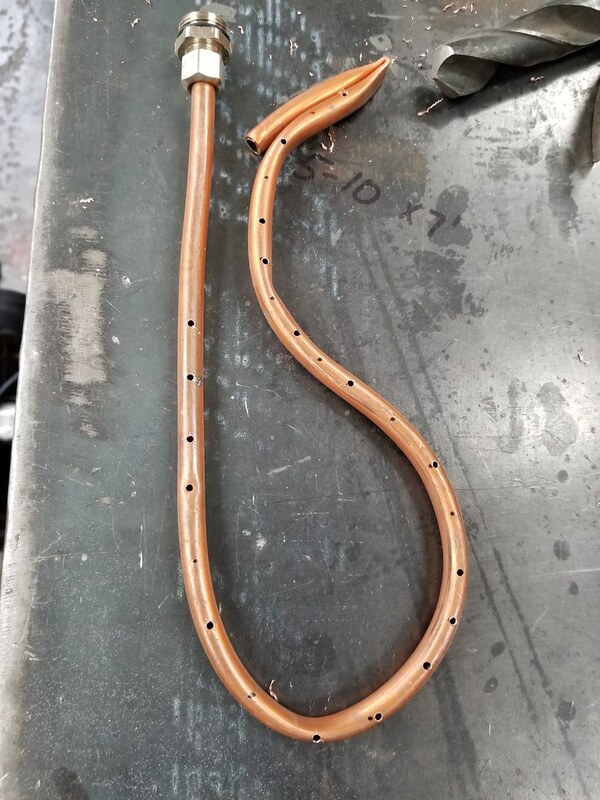 A 3/8 crush olive fitting by 1/2" male for the copper pipe connection on the inside. 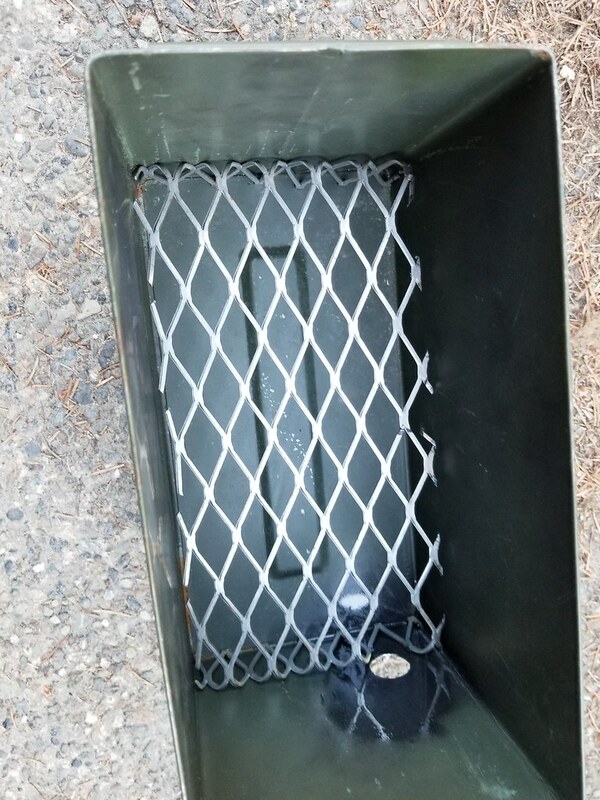 The washer also help space out the thickness so when you tighten the two halves they are tight to the ammo can wall also. Drill holes in burner. I used a 7/64 drill bit. I skipped a few holes, and did a test fire, decided I wanted them all. Went back and drilled them. 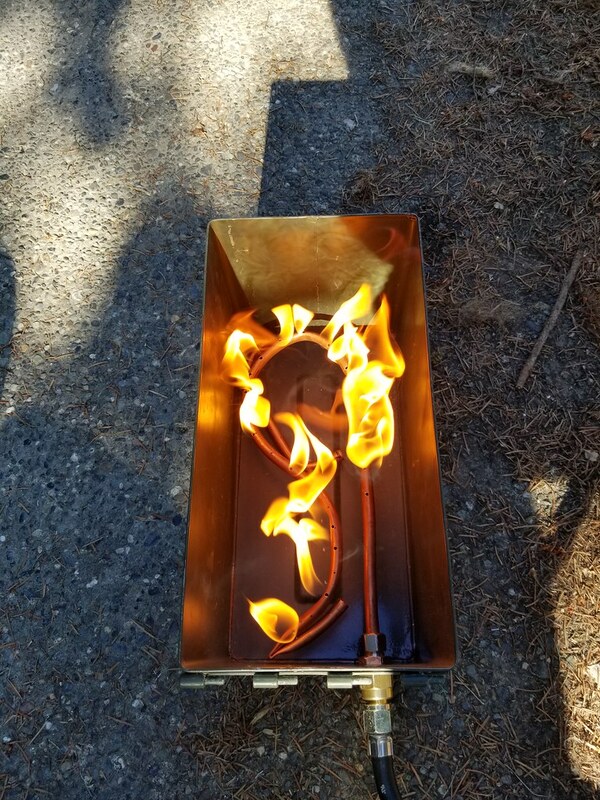 You can see the burner side of the gas connection here too. Test the hole pattern, you can add more as needed to get even ish flames. Lava rocks will be added that help spread it out a bit too. 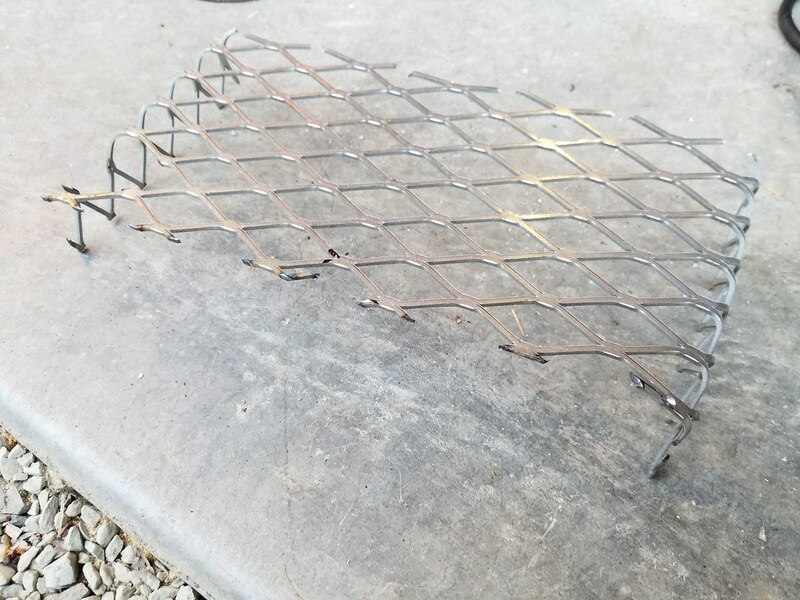 I used a piece of expanded metal to do two things, one to support the burner and two to keep it from just being a full can of lava rock.... I cut and bent it to sit just under the burner. 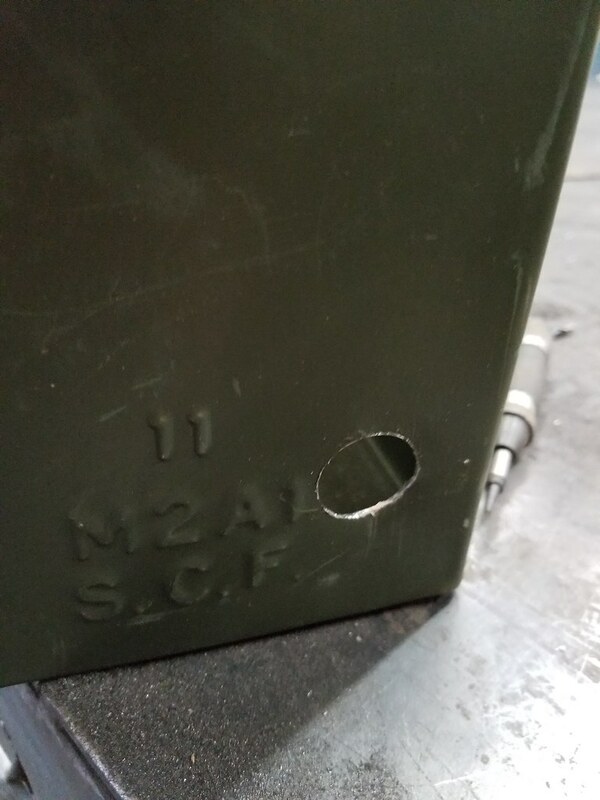 Fit in the can, I had to cut a bit of a notch for the burner connection. Burner in place with the expanded metal. Testing again, with more holes this time. This was just with a standard low pressure regulator I had on hand. 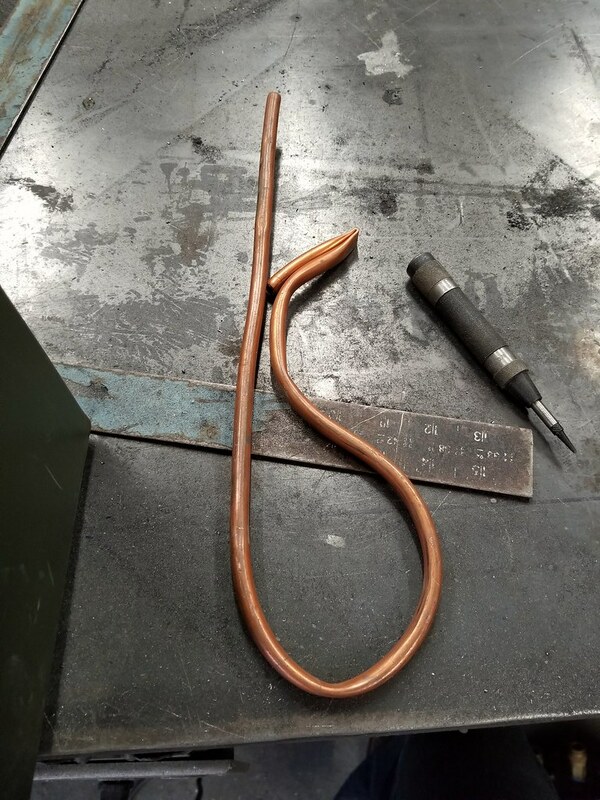 A 0-20 psi with a long hose was ordered. With the lava rock in place this time. Also with the new regulator. Just above minimum pressure. Nice little fire. The rock definitely helps spread the heat, but the sides of the box still kind of direct it straight up. I set the burner so low because I wanted to get the regulator and hose inside it for transport. About half way up on gas pressure, it can get big! And the hose regulator fits inside! its a little sooty in there though. All packed up. I use it with a little 5lb bottle. Hope you liked it! Maybe someone else can make one too if they feel so inclined. Used it for a few hours this weekend, it works well, not a ton of heat, but still nice to sit around. 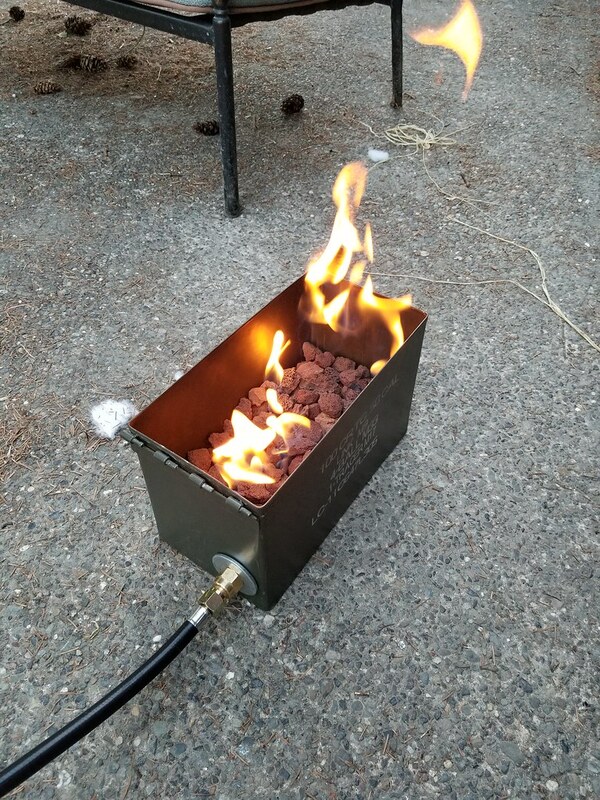 My little Campfire in a Can has no comparison to your ammo box. That is a great idea and for the price and the flame and effect it creates it is a super idea. Wish I had thought of it before getting what I now have. You are to be commended on your originality and fab skills. 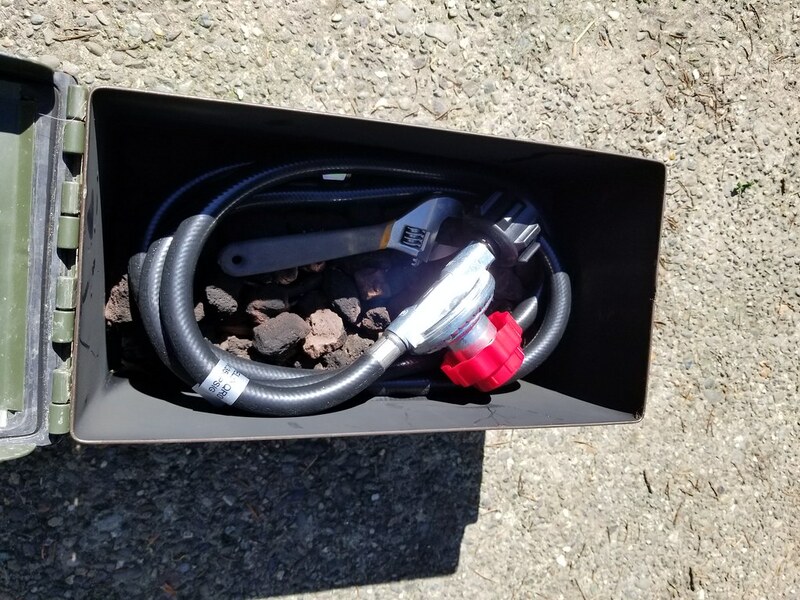 Perhaps a bag to keep the hose in? Easy to wash the soot off occasionally. Awesome! How is it with marshmallows? &#9786; Would have loved to have that when we had small kids out west with fire bans in place (propane fires ok). Perfect price, perfect size! Thanks everyone! I thought it was a pretty good idea to share. Easy to make. A little bag is a great idea. Clever idea! Much nicer form-factor (at least for transport) than the commercial offerings I've seen. Somewhat related: here in BC we currently have a huge wildfire problem, so fires are banned province-wide. 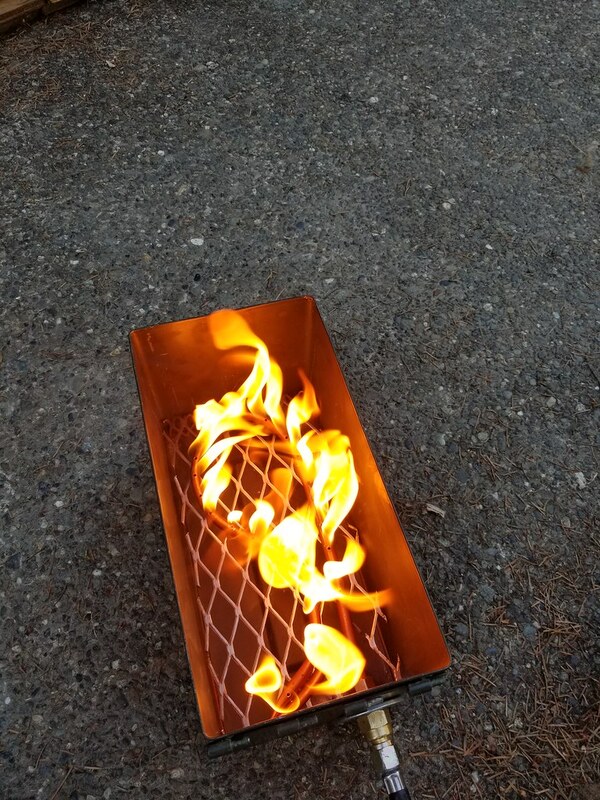 The only exception is using a propane fire pit, but in addition to having to keep the flames under a certain size, the propane fire bit also has to be certified to some kind of (commercially common) standards, so a DIY solution might still get you in trouble. Food for thought. Interesting! I didn't realize they needed a stamp. I was just up there when the fires started that was a crazy lightning storm that rolled through. So cool! 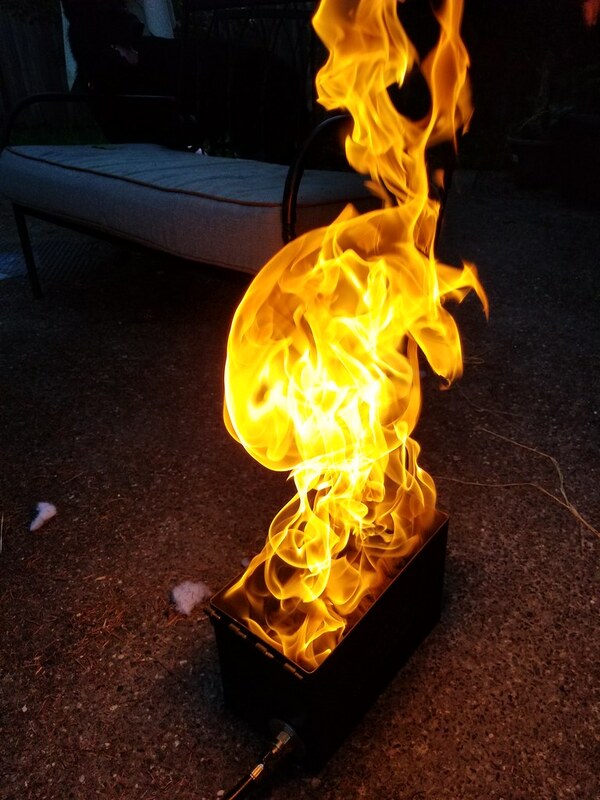 I was planning on purchasing a Campfire in a Can, but since I have a ton of ammo cans this will be my next project! BTW, if you don't produce these as a cottage industry, someone else will...especially if they are half the price of a CC. Good luck. Your not the first person to mention it, but I have no idea what the liability etc for producing fire making appliances is. ha...I got my hands full! Yep, I suspect the liability is huge (look at simple fuel cans) and probably why Campfire in a Can costs what it costs (~30% just for the liability insurance) Still, its a great idea and you should be proud of it! Thanks I thought it was pretty slick too. I hope others can make their own! I would consider making a few, but again I dont want the liability of selling them I guess. I'm not a lawyer but maybe if you sold them 'disassembled' as kits you'd be able to sidestep the liability issue - since the end buyer is actually completing the build and you're just providing the custom parts.